Though spring is here, the weather’s still been cold and windy. 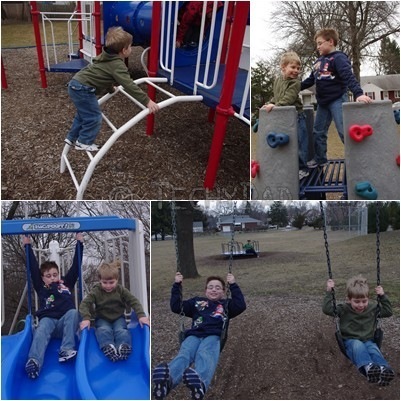 We did have one semi-nice day over the weekend, though, so we treated the boys to the First Park Trip Of Spring. Sadly, the wind picked up more and the trip had to be cut short. Here’s hoping that the weather warms up soon so that many more park trips can be made.